the co-ordinates listed correspond to the radar site which is about a quarter-mile down the road from where the actual missiles were housed. Only ruins and a few artifacts are left. There is nothing here to see that is worth getting gored by one of the bulls, swarmed by the commercial bee hives, being bitten by the rattle snakes, or being shot at (rock salt) by the rancher. But if youre patient and cautious you can see everything while avoiding all of that. 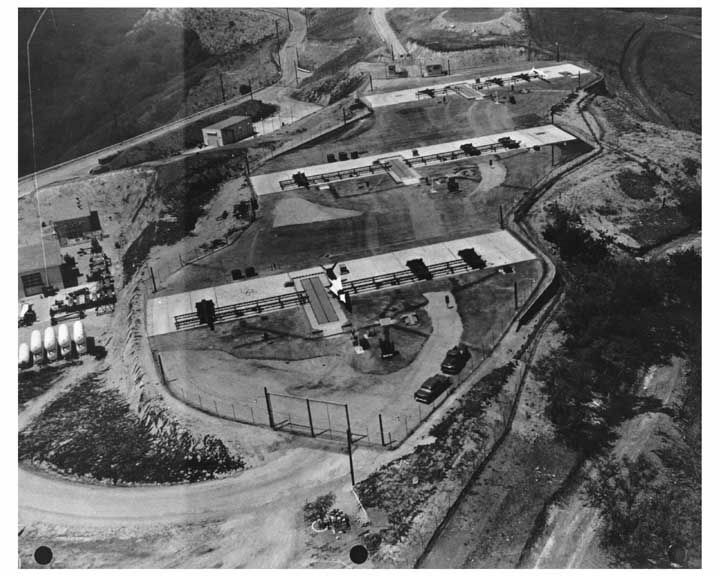 Built in the mid 1950's; LA-29 is one radar/missile site in a ring of 16 that circle Los Angeles. Nike missiles had the ability to intercept and destroy super-sonic ballistic missiles as far back as 1955. Similar efforts were made around costal cities in many parts of the country until the mid 1970's when all were decomissioned. Major structures (all the cool stuff) were demolished in the early 2000's and all bunkers/silos/tunnels were filled/sealed. This specific site at one time had 3 underground elevators for missiles and also underground barraks for troops(i think). Now there are massive housing developments within a mile of the site although at the time of construction it would have been miles from the nearest roads or establishments. If it could be zoned for housing it will most likely be developed. The area has a 360 degree view from downtown LA, to Catalina Island. An acre of residential land here would be worth a LOT of money. This location's validation is current. It was last validated by Opheliaism on 2/25/2012 12:56 PM. This page was generated for you in 62 milliseconds. Since June 23, 2002, a total of 574102936 pages have been generated.